We’ve heard about robo-signing, robo-witnesses, but we’ve not heard about robo-judges. Is that because judges have absolute immunity protecting them from consequences of their wrongdoing? 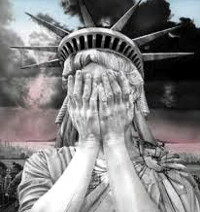 When Judge Steve Herrera was killed in a car accident I was devastated because he had treated me as if I had standing. In contrast, my pro se experience in the state courts thereafter was abysmal. 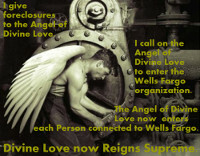 For instance, a Default Judgment of Foreclosure was entered against me in 1997 even though I had timely filed an answer. To put this in perspective the foreclosure robo-judge, Petra Maes, went on to the New Mexico State Supreme Court. When I attempted suicide after that, just before my home was to be auctioned on the courthouse steps, a magistrate court judge had me taken out of the hospital by police and put in jail because of weeds – literal weeds in my front yard, not marijuana. 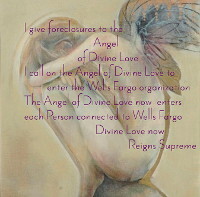 After my home was auctioned, an adviser filed Chapter 11 in bankruptcy court for me and I got my home back. But the adviser, a “trust” expert, got me to lend him money on “diamonds” that were cubic zirconium; he wrecked my car, wrote me bad checks, and finally tried to take my home. Encouraged by my experience in federal bankruptcy court, I tried to get relief in state court, but the adviser was white haired, spoke in a bumbling way that made him seem the most home spun honest guy ever. He said he was my boyfriend and I’d been abusing him. He didn’t say that he called it abuse when I asked him to repay money he owed me. I, on the other hand, was too tall and fat, and I had to read because I of brain damage. Judge James Hall said he believed the adviser. After that, no matter what my case, it appeared that Judge Hall had become a robo-judge, his mind made up against me before looking at evidence. He would not even accommodate my disability. 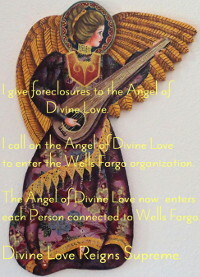 When I filed for an injunction against the other condo owners to protect me from things they were doing in relation to the privy pit, Robo-Judge Hall said in court that he would have my foreclosures and he would see to it that I paid them everything I owed, giving the impression that without seeing any facts he knew that it was I who owed them money, not vice versa. Outdoor toilet pit under my condo bedroom. Read more. Because I had made up my mind not to attempt suicide again, I had to think of some way to deal with the extreme prejudice this judge was showing. Believing that the ADA might protect me, I filed the Complaint shown below in federal court. It kept Judge Hall from hearing my foreclosures, so it saved my property. And I’m glad I filed it. But, the other robo-judges took revenge in 2005 and 2006, foreclosing my condo without a hearing. Robo-Judge Daniel Sanchez signed the foreclosure which said I had not answered, when in fact I had filed an Answer and it was on the official record. He didn’t check the record, much less the file. Robo-Judge Sanchez simply signed what the Deutsche Bank lawyer put in front of him. I lost $150,000.00 in equity and $5,000 I spent on my condo after it had been auctioned because I hadn’t been notified of the judgement. At the hearing to Approve the Sale, the lawyer for the Deutsche Bank lied, and Robo-Judge Vigil went along with it. Look at my Brief, read the transcriptions from the hearing. It is quite shocking. My Deprivation of Rights suit (Complaint shown below) was doomed to fail since I named the judges. Judges, even robo-judges, have absolute immunity. I should have sued the state of New Mexico. Since the New Mexico state court denied me accommodation under the ADA, Title II, and there’s not even an ADA Coordinator for the state courts, I am going to file a tort claim notice and bring suit again, only this time I’ll try to do it right. 1. Plaintiff is a resident of Santa Fe, Santa Fe County, New Mexico, and is now and was at all material times a qualified individual with a disability who by reason of such disability has been excluded from participation in or denied the benefits of the services, programs or activities of a public entity and was subjected to discrimination by such entity. 2. James Hall is a judge in the First Judicial District Court of New Mexico, Santa Fe, Santa Fe County, New Mexico, who does not have judicial immunity when he discriminates and refuses to follow the NMRA and Constitution of the United States and in other ways breaks the law. 3. Art Encinias was a judge in the First Judicial District Court of New Mexico, Santa Fe, Santa Fe County, New Mexico, who did not have judicial immunity when he discriminated and refused to follow the NMRA and Constitution of the United States and in other ways breaks the law. 4. The First Judicial District Court of New Mexico is located in Santa Fe, Santa Fe County, New Mexico. 5. The First Judicial District Court Clerk of New Mexico is located in Santa Fe, Santa Fe County, New Mexico. 6. This case is filed pursuant to 42 U.S.C., The Americans with Disabilities Act, and seeks damages thereunder. 7. This case is filed pursuant to 42 U.S.C. Section 1983 and seeks damages thereunder. 8. The US District Court properly has jurisdiction in this case pursuant to the statutes listed above. desperate poverty because I cannot go into court and get justice and a remedy when the rules aren’t followed; I no longer have a fully functioning working memory and have lost about half of my processing speed, so I must be able to rely on the rules in order to be heard in court and have due process of law. 10. Alleged fact: James Hall, judge, has denied me my right to present my case against Dean Johnson, and has then ruled as if the case had been presented without being cut short. 11. Alleged fact: James Hall did nothing when Johnson wrote in a pleading that it would be against God for him to pay the judgment. 12. Alleged fact: James Hall did nothing about the fact that Johnson had represented himself to me to be an LLM specialized tax attorney, when in fact he hadn’t been admitted to the bar anywhere. Clearly Johnson was committing fraud against me and taking advantage of my disability. But when I tried to get a remedy from the court, I was threatened with sanctions and was told that it didn’t matter that Johnson had told me he was a lawyer. If Hall were properly acting as a judge he would not allow someone to pretend to be a lawyer then try to take my home in payment for legal work he did wrong and inadequately and fraudulently. 13. Alleged fact: James Hall, judge, next discriminated against and damaged me by threatening me with sanctions for not following “rules” in relation to garnishment which are not written and I therefore have no way of following, specifically that I must serve interrogatories before proceeding. 14. Alleged fact: James Hall, judge, next denied me my right to follow the rules to seek payment of the judgment against Johnson via garnishment, by threatening to sanction me if I proceeded against another person/business who had money of Johnson’s. was inappropriate and that it was necessary to follow the rules of motion practice. 16. Alleged fact: James Hall, judge, has at various times told me I couldn’t read my prepared case, which made it impossible for me to cogently present my case because I am lacking a significant part of my working memory and processing speed. 17. Alleged fact: James Hall, judge, has told me that I’m the only person he knows of who would talk about the Constitution, as if that’s a bad thing, and he has made it clear from statements of his that he does not think the Constitution is something I have a right to invoke. Judge James Hall said he was not going to follow that rule, he was just going to dismiss; and, he wouldn’t let me introduce factual evidence, which means I was not able to defend my reputation and false things are being treated as if they were true. 19. James Hall, acting in the capacity of a judge but not honoring the Constitution, has repeatedly denied me access to justice. 20. James Hall’s repeated denials have caused me extreme anxiety with the result that I often have found my knees so weak when I am before him, that I have to support myself by leaning on the table or rostrum. 22. I have already lost most of my income, and my health has been severely impacted to include that I just had shingles for months, and now have tinnitus which may never go away. It is clearly wrong that I am being hurt when I go into court for help and for a remedy. 23. Before this, Art Encinias, has not allowed me to present my case. He would close the hearing and then allow me to read what I had prepared. He was clearly putting me down and discriminating against me. He would shuffle papers and make it clearly evident that he had no respect for me. He sanctioned me $250 for not agreeing to a continuance, when the law states that the automatic stay prohibits further litigation. He treated me so badly that my throat became sore and I felt like I had the flu; in fact, blood tests showed that following that hearing in front of him, my B12 blood level fell 300 points. 24. If Art Encinias had not denied me my rights, I would not be in such a desperate position here and now, but he did, and I am and it is getting worse day by day. 25. When I didn’t have enough money to buy a black ink cartridge, I sent in a pleading printed in green. The clerk filed it, then unfiled it and sent the pleading back to me with the file stamp crossed out. When I asked what rule this had been done pursuant to, I was told there was no rule. 26. The First Judicial District Court, presided over by Judge Carol Vigil, in the Nichols case, ignored the impact the non-lawyer (Johnson) had on me and my case since he wrote it. The Court didn’t treat me as if my case had merit, which since there is a federal case in which my position was upheld, appeared to be because I was pro se and have a mental disability and because she deferred to the lead/ “precedent” provided by James Hall concomitantly. 27. 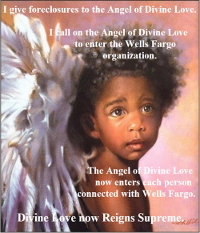 The New Mexico Appeals Court has disallowed me free process because I had equity in my home. Since I can’t get the equity out in time to pay for an appeal and have it be timely, I am denied legal rights that people with more money than me have. That is not equal protection of the law. 28. The New Mexico Appeals Court allowed me to be treated in a completely different and demeaning way from the way it treated attorneys, in the Nichols case. This was devastating to me and caused me a severe depression that resulted in aggravated cognitive dysfunction. 29. The State of New Mexico owes me a duty of providing judges who are not prejudiced and who do not discriminate and deprive me of rights, or of removing judges who are prejudiced and do discriminate. WHEREFORE I respectfully request relief in an amount to be determined at trial. day of March, 2004 by Karen Marie Kline. Feeling certain that if this judge has not followed the rules in many cases and several hearings, he is not going to start following them now, and given that my extreme poverty is a result of not being able to get relief in court, I filed this action today in U.S. District Court. A college student served them for me… at least the ones for which I had the summonses from the US District Ct.
She was great, and reasonable, but more than that she told me about her work in school and it was fascinating… I’m such a recluse that I almost never see anyone. So this was a major treat. The state risk management office called shortly after I got home, to schedule an interview me. I saidthat I’d filed the case yesterday and that I’d served some of the complaints today. So he said he’d have to turn it over to lawyers. The defendants have 20 days to respond. I don’t know if this is one of those things where there’s an additional 3 days for mailing, or not.